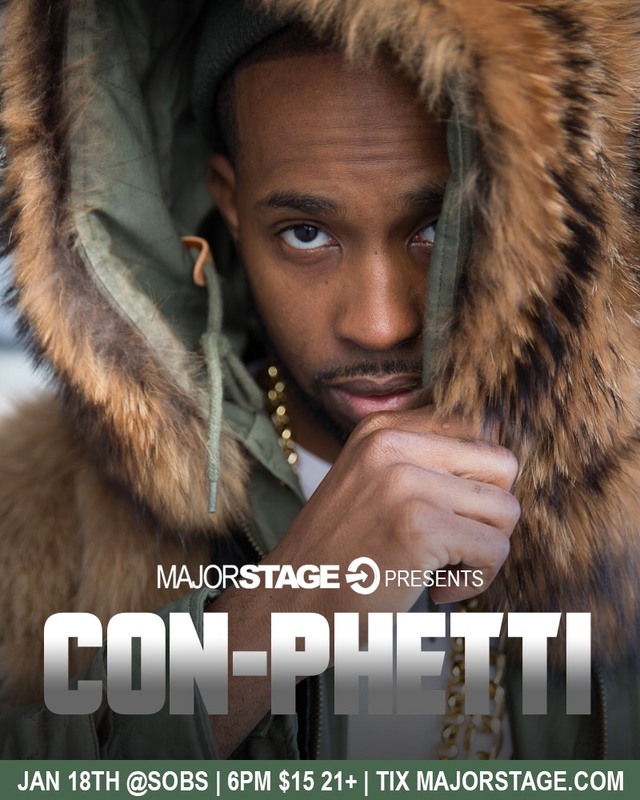 Known for his dedication in exclusively producing quality music, Con-Phetti is committed to his originality and honoring his Harlem roots. He’s going to quickly become a well-known artist. When you come out to see one of his shows, you won’t be disappointed. In addition to being a talented songwriter and lyricist, he’s an entertainer that knows how to take the show to the next level. Con-Phetti has already showed his true potential as an up-and-coming hip-hop artist with the music he’s already released. Hits such as First 48, Cold World, and Flexin are receiving nothing but praise.